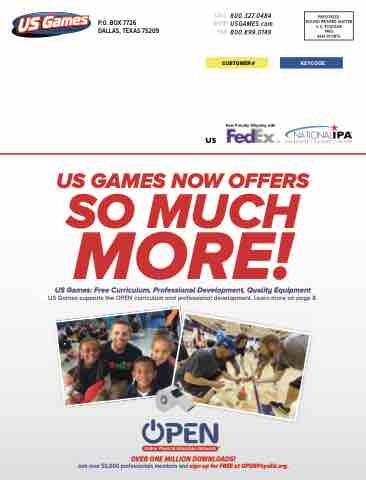 US Games supports the OPEN curriculum and professional development. Learn more on page 8. Join over 50,000 professionals members and sign up for FREE at OPENPhysEd.org.